The first time I ever drove into southwest Utah, I had a sneaking suspicion I’d fall for it. The red rock walls and arches around Moab were unlike anything else I’d seen. Though I barely knew anything about the landscape at the time, I picked up a copy of Desert Solitaire and found in its pages an appreciation for the desert wildness that shapes my life to this day. Edward Abbey’s anti-establishment nature writing has become the curmudgeonly voice of the red rock canyonlands, and an anthem for desert lovers everywhere. If you’ve ever dreamed of walking in Abbey’s footsteps, here are a few ways to do it. Abbey famously bumped down the Flint Trail in a Land Rover and then rappelled down into the labyrinth canyons of the Maze—now a part of Canyonlands National Park—in Desert Solitaire. There’s a lot more beta about how to explore the Maze now than when Abbey lowered over the canyon wall into the void, but it’s still mysterious, dangerous, inspiring and humbling. Having a four-wheel drive can cut down on the mileage of a hike to the Maze Overlook. But with two-wheel drive, it’s a 15-mile hike in, best left to an overnight. Another option is taking a river taxi from Moab, which drops you at Spanish Bottom, where you can hike 1,000 feet up to the Doll House for an intimate view of the winding canyons. The premise of Desert Solitaire revolves around Abbey’s life as a ranger in what was then Arches National Monument, before the paving of the roads and laying of large parking lots for tourists to sightsee without leaving their air-conditioned vehicles—the kind of thing that enraged Abbey. 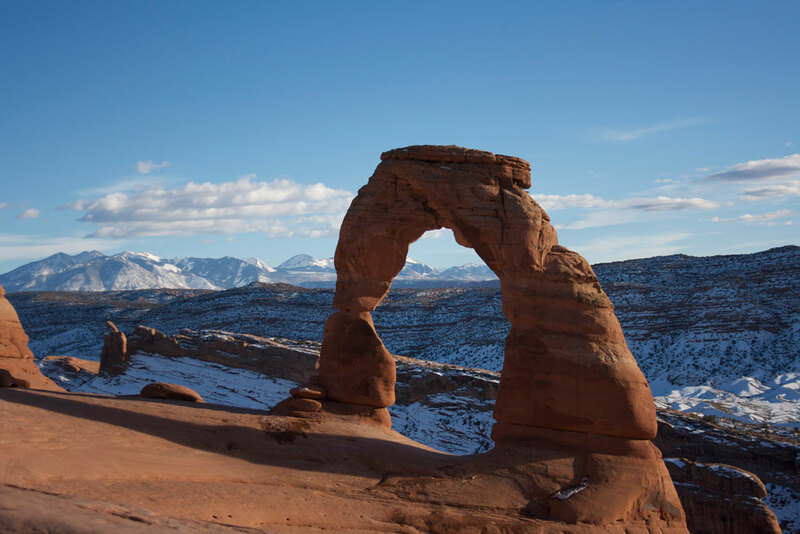 Get back away from the pavement to experience a bit of Abbey’s Arches by hiking the 7.2-mile Devil’s Garden Loop along sandstone fins and ledges and so many arches you might lose count. Or, if you really want to leave civilization behind, apply for a permit to hike into the Fiery Furnace, a winding maze of stone passages with no trails at all. If you’re a fan of The Monkey Wrench Gang, no trip to the Southwest would be complete without a drive through Valley of the Gods. North of the more famous formations of Monument Valley, the Valley of the Gods feels like the edge of the world. The middle of nowhere. And the 17-mile dirt road that winds in and out of washes between its sandstone spires and buttes played a pivotal roll in Hayduke’s escape from “the authorities” in Abbey’s book. If you’ve got the time, spend the night at one of the developed pull offs along the road. You’ll not soon forget it. Abbey was struck by the ancient rock art in Horseshoe Canyon, sure that the figures were apparitions from a nightmare. “Whatever their original intention, the long-dead artists and hunters confront us across the centuries with the poignant sign of their humanity,” he wrote in Desert Solitaire. “I was here, says the artist. We were here, say the hunters.” The area is now part of Canyonlands National Park, but most visitors approach through Bureau of Land Management land to the west, near Goblin Valley. The hike is a seven-mile round trip descending 780 feet of steep terrain and then ascending it again at the end. In the legacy of their patron saint of anarchist environmentalism, two hikers connected an 800-mile route over the Colorado Plateau, covering ground throughout Utah and Arizona to showcase the best of Abbey’s stomping grounds and bring attention to the priceless lands he worked to protect. Divided into 14 sections, the Odyssean trail traipses from Arches National Park through Canyonlands and Capitol Reef National Parks, across Grand Staircase-Escalante National Monument, dipping into Bryce Canyon and the Grand Canyon, ending in Zion National Park. A lifetime of sightseeing lies along the way, most of which the average person will only ever see from inside a car. 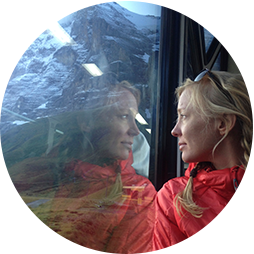 “I’d rather be mountain biking.” Hilary Oliver, creator of the blog TheGription.com, is a freelance writer and editor.